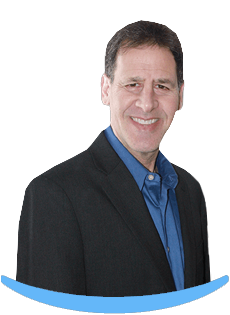 Born and raised in Creve Coeur, Dr. Feigenbaum graduated from Ladue High School in 1978, graduated with an A.B. in biology from the University of Missouri-Columbia in 1982, and received his D.D.S. degree from the University of Missouri-Kansas City School of Dentistry in 1986. 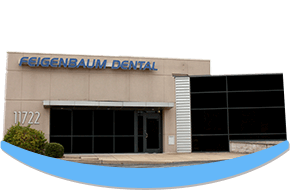 An active member of the American Dental Association, Missouri Dental Association, and The Greater Creve Coeur Dental Society, Dr. Feigenbaum offers more than 30 years' experience in providing all phases of general dentistry. Dr. Feigenbaum has continued his education over the years to make the latest technologies and treatments in dentistry available to his patients. He provides all phases of general dental care, including: cosmetic dentistry; crown, bridgework, and implant restorations; laser dentistry for treatment of gum disease and cosmetic enhancements; Invisalign orthodontic treatments; TMJ therapy and root canal therapy; and minor oral surgery for adults and children. Because making every visit a calm and comfortable experience is a priority, Dr. Feigenbaum listens carefully to his patients and has worked to perfect his anesthetic and relaxation techniques to ensure complete patient comfort. Married to his college sweetheart Sandra since 1984, the Feigenbaums have four children. He is deeply devoted to his family and proud to be active in his children's lives. Dr. Feigenbaum is an avid fan, player, and coach of basketball. He plays three times a week and has coached his children's teams. In 2000, he recorded a personal highlight: attending The Michael Jordan Senior Flight Camp where he was coached by numerous college and NBA coaches, and played with the legend himself. Ask him about the experience: he'll be happy to share every detail.